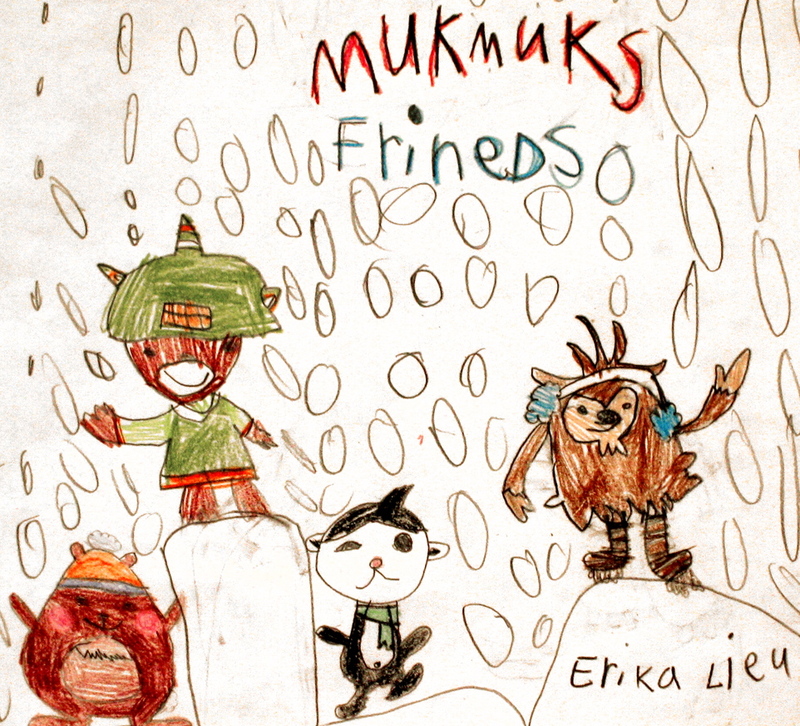 As part of the Vancouver Sun‘s dormant “Free Mukmuk” campaign, some kids sent in their Mukmuk-themed art. Quatchi appears in submissions by five-year-old Erika Lieu (above) and nine-year- old Samantha Herle (left). Despite the Sun‘s noble efforts, Mukmuk still exists only in cartoon and souvenir form, not as a full-blown mascot. At this point, it’s doubtful he will. This entry was posted in Uncategorized and tagged art, Miga, Mukmuk, Quatchi, Sumi. Bookmark the permalink.